As summer flies by and school threatens to start, the countdown to fall is on. But, there’s still time to celebrate the precious days of summer in style – without breaking the bank. 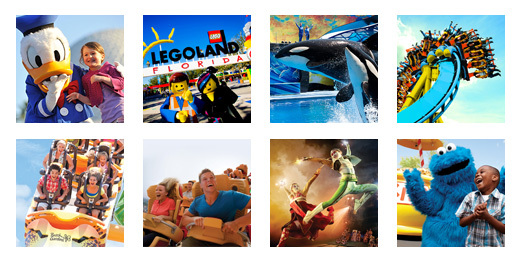 TicketsatWork is packed with top shows and sights in New York, Orlando and Las Vegas. Here are out top summer picks – all you need to bring is a sense of adventure. With the end of summer comes the final performance of one of Broadway’s most popular life-inspired musicals, On Your Feet! This show chronicles the personal and professional life of music sensation Gloria Estefan, from her Cuban childhood roots to her Grammy Award-winning powerhouse status. This Broadway hit closes on August 20, so grab a ticket now for this high-spirited, memorable musical. Marriott Marquis Theatre, 210 W. 46th St.
Before the kids return to school, take your family to the Intrepid Sea, Air & Space Museum. Climb aboard the legendary and historic air craft carrier first launched in 1943, and discover a slew of educational presentations tracing air, sea and space history, including the space shuttle Enterprise, the record-breaking British Airways Concorde and the formerly top-secret missile submarine known as the Growler. Pier 86, W. 46th St. and 12th Ave.
Be one of the first to splash your way through one of Orlando’s newest water parks, Volcano Bay at Universal Studios Orlando. Their apt philosophy is: “Water is Life; Life is Joy.” The burgeoning water park features some of the newest technology in amusement park ticketing, including a wristband that serves as your wearable placeholder for every line to the rides. Leave your inhibitions behind and dive – or lazily float – into Orlando’s newest premiere water park. Universal Studios, 6000 Universal Blvd. Splash into summer with the creative minds of Cirque du Soleil in the aquatic showcase that is O. From high divers to trapeze artists, this live performance art takes one simple concept and utilizes the purest forms of water to develop a complex and entertaining show. Though you may be tempted to hop in the water yourself, resist the urge and instead soak in the show with tickets from TicketsatWork. O Theatre at Bellagio, 3600 South Las Vegas Blvd. Ring in the end of summer with the Princess of Pop, Britney Spears. The musical icon still knows how to impress crowds of thousands with her catchy lyrics, upbeat music, and stellar stage presence. Grab your closest besties and your dancing shows; you do not want to miss the chance to sing along to some of this ‘90s princess’ chart-topping favorites. Planet Hollywood The AXIS, 3667 South Las Vegas Blvd.